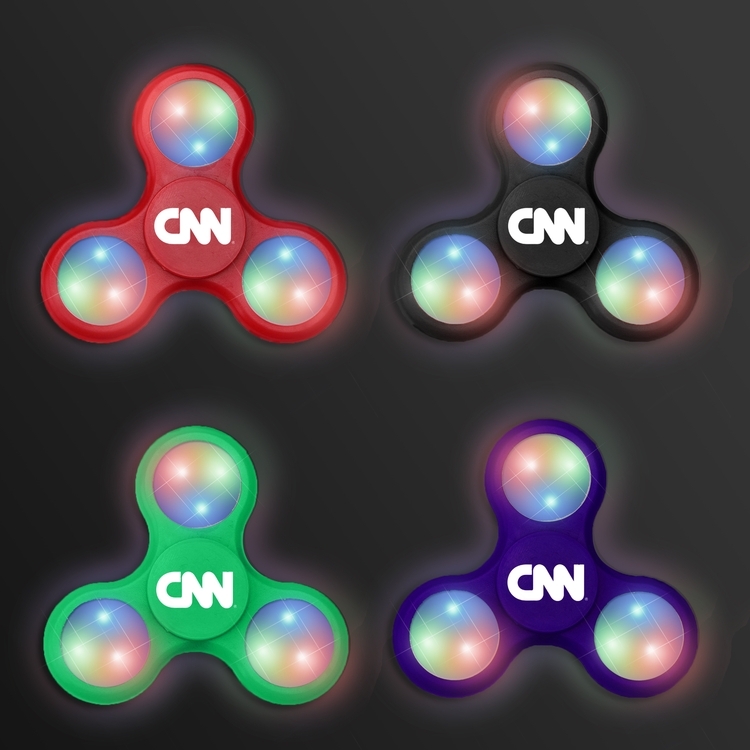 This is totally revolutionary and brand new fidget tri-spinner toy that not only removes anxiety and helps you to focus, but also has 3 LED lights that glow with different colors while you spin it! It helps to become more focused and attentive, easy to use even with one hand, with massive and durable construction. Each LED light can change up to eight different colors, total combination of 24 different colors. High quality construction. Long life cell button batteries included. Up to 30 hours continuous lighting time! A great giveaway, trade show item. Order now!